Next in our Twelve Dogs of Christmas rehoming campaign with Dogs Trust is Bella, the beautiful border collie. 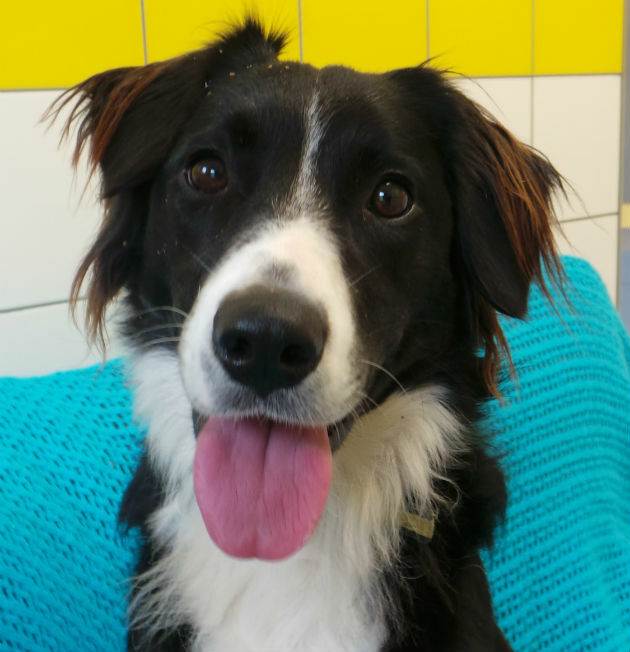 The second dog in our rehoming campaign with Dogs Trust is the lovely Bella, an 18-month old border collie. Situated in Dogs Trust Shoreham, friendly Bella is looking for a loving new family who will give her the time needed for some basic training. A gorgeous and loyal addition to a house, Bella would prefer an adult-only and cat free home although she would be perfectly happy to live with another dog. Dogs Trust Shoreham says, ‘Bella is a very sweet and affectionate girl who loves her toys and is very puppy-like when she plays with them. ‘Bella also enjoys her food and chews, so would respond well to training, especially combined with her willingness to learn.